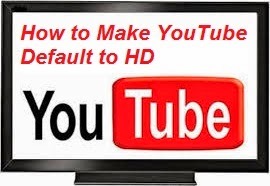 How to Make YouTube Default to HD ? Login to YouTube.com with your gmail id and password. Click the box of "Always play HD on fullscreen" to set as default.